This post is sponsored by Walmart and Sverve. Regardless, I only recommend products or services I use personally and believe will be a good fit for my readers. All opinions are 100% my own. 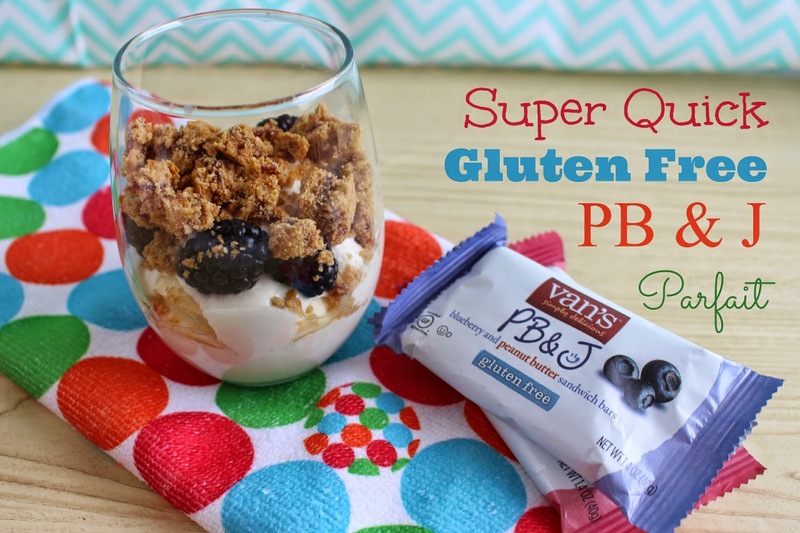 Last week we brought in some Van's PB & J bars to my daughter's dance class and the girls loved them! When I first gave it to the little girl that was gluten free she looked at her mom to get the OK. When her mom told her it was OK and opened it, she quickly grabbed the bar and took a bite. She then ran to her dance mates and they all sat on the floor and happily ate their bars. I loved seeing her eat the same snack as all the other little girls and not to have her own substitute. Then it was time for the girls to start their lesson so us moms went downstairs to have our usual coffee chat. I shared with them about the Gluten Free event at Walmart and they were just as surprised to hear about all of the gluten free choices they offered. We all decided to bring in gluten free snacks from now on so that nobody would have to feel different. Since my daughter loves them so much herself I keep a couple of boxes on hand so she can have them outside of dance class. She loves strawberries and blueberries so it was a perfect fit for her. I love that they have oats and peanut butter to give a little bit of fiber and protein in her diet. To bump up the protein I decided to crumble the PB & J bar and put it on top of a peanut butter vanilla yogurt parfait. To make the parfait I took some Greek yogurt and added a little bit of almond milk to thin it down a little bit. Then I added some PB powder, honey and vanilla. I layered the yogurt with berries, banana and the crumbled PB & J bar and it made a delicious breakfast. 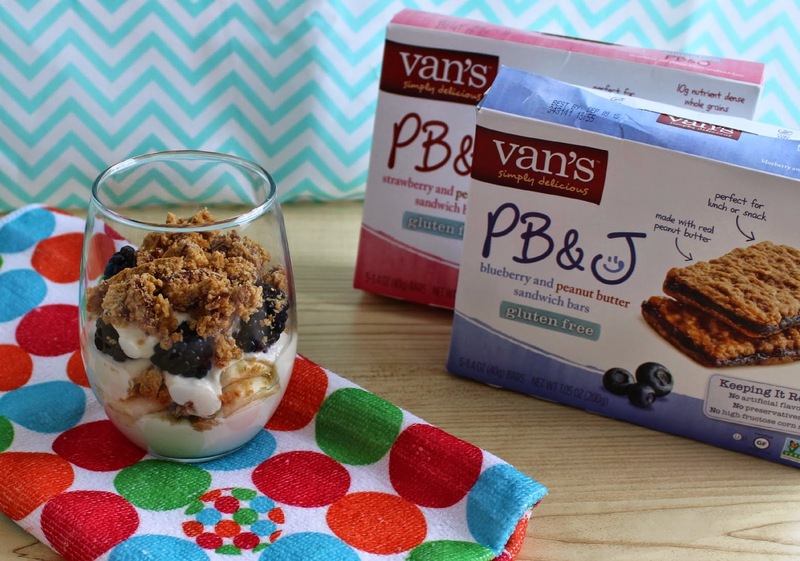 Crumble the PB & J bar and set aside. Combine the yogurt, honey, vanilla and peanut butter powder and mix well. Slice the banana and wash the berries. 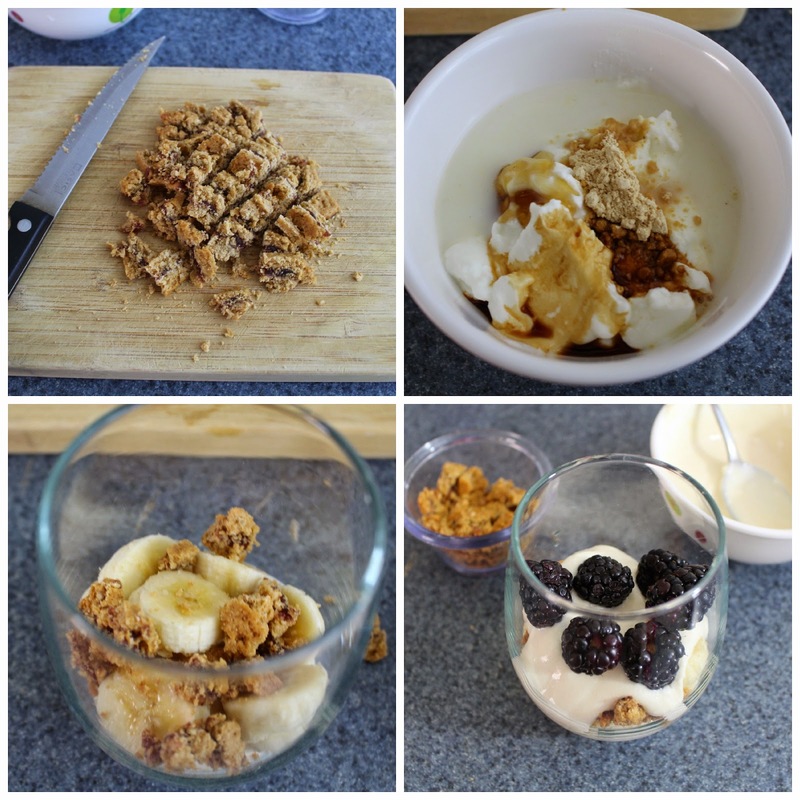 Add some yogurt into a cup then a layer of bananas and then a layer of PB & J crumbs. 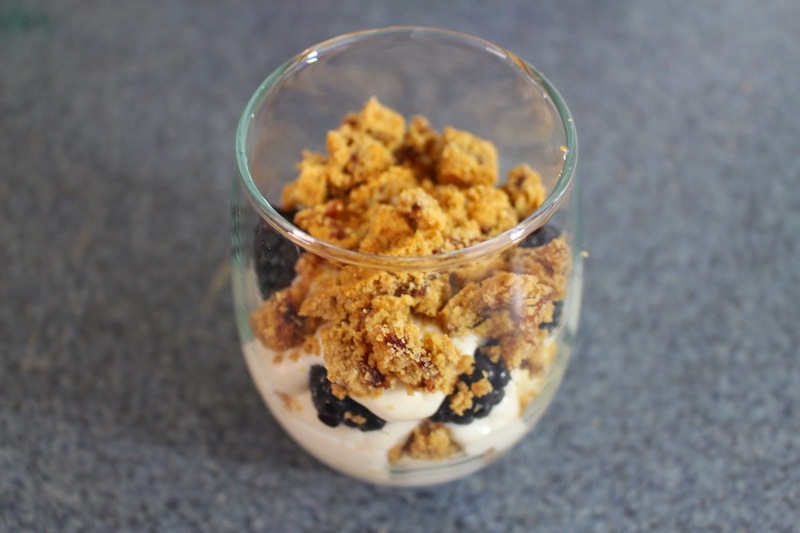 Add another layer of yogurt, blackberries and then crumbs. Top with the rest of the yogurt and the rest of the crumbs. Head on over to the Walmart Page to find out the other varieties of gluten free products they offer. This sounds really good. I've been eating a lot of parfaits lately, so this is right up my alley. I am a big fan of parfaits. They are so easy to make and almost sinful, like a dessert in the morning! This looks great! This sounds so yummy! This is one my 'tricks' when making parfaits for the kids....I always add granola or simply crumbled bars or cookies. It adds great texture! OMG, that sounds so yummy. I have to make one of those for myself SOON! I'm a huge fans of parfaits! This looks tasty enough for the kids too! Yum I love stuff like this! I make something similar all the time. I haven't ever seen PB&J bars though, those look great! what a fancy snack for them! :) it's so cool to see that walmart is offering more gluten free options. i feel like i'm hearing more and more people are gluten intolerant, and it's healthier for you. I actually saw those PB&J bars when I was shopping a month pr so ago. I was hungry so I grabbed one. It was delicious and filled me right up--no more growling tummy!! This is a great way to make an easy healthy treat! 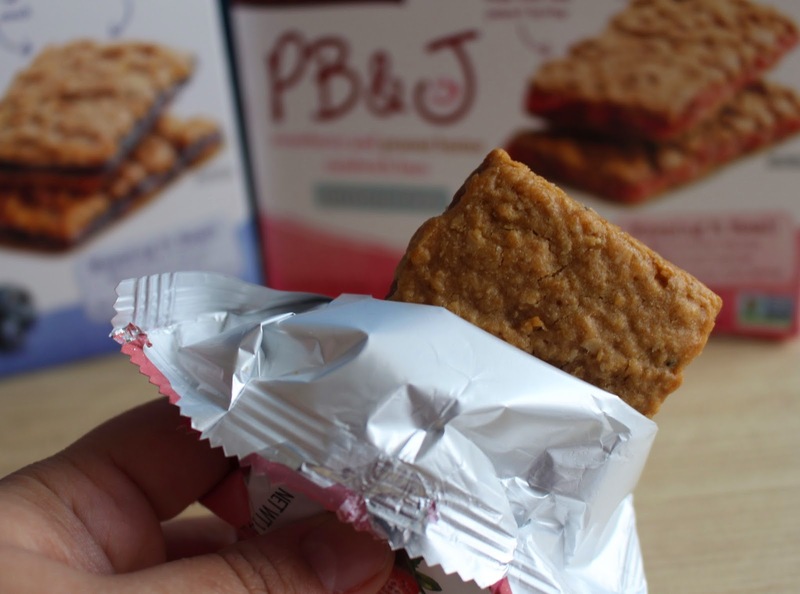 The PB&J bars look really good and I love that they are gluten free. I've heard of their products before. Have never tried them. Looks like it would be yummy. 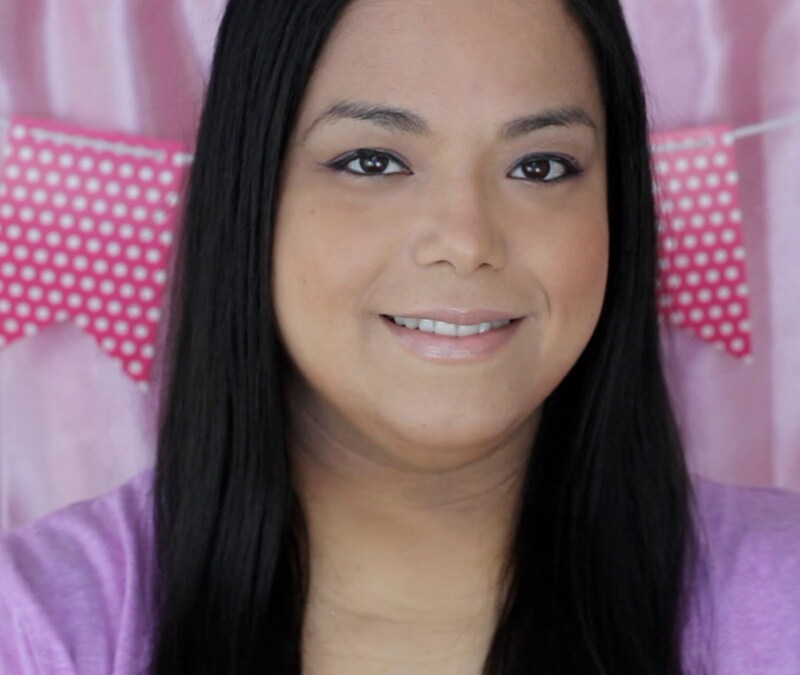 I never knew I could find so many darn good yummy recipes since I became a blogger, and my favorite meal of the day IS breakfast. yum yum yummy!!! We can always use a new healthy snacks or breakfast foods! I have never heard of this bar, I will have to check it out. Thanks! I wouldn't mind eating this for breakfast everyday! I love the combination and your photos make it look so pretty! 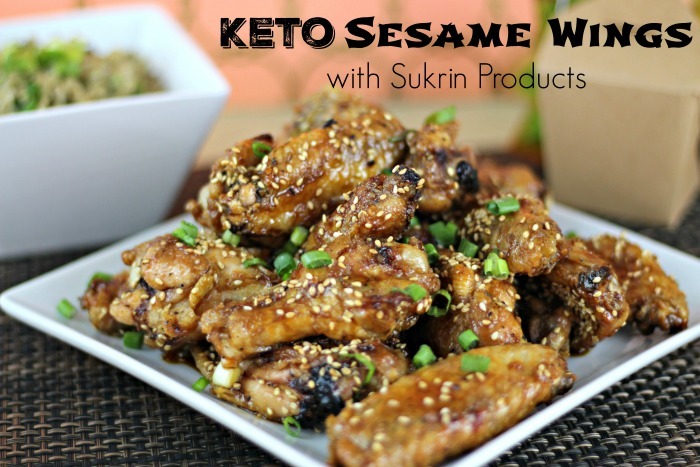 We aren't gluten free, but I love a healthy & easy snack! These parfaits would certainly bring smiles to my family's faces. These are so cute for breakfast!! I bet they would be good to prep up the night before for a busy morning! That would definitely hit the spot for me. It's just enough and with the perfect ingredients. I like that they're gluten free. Your parfait looks yummy delicious too. I have always love natural and gluten free. My girls would love to try this at home. Thank you for the recipe. I repinned this. This is great. Thanks for sharing. Do you know I've never made a parfait? Clearly I am missing out! Looks yummy. That looks delicious. I like having products in my cupboard that are healthy and quick for snacking. My kids would love this...what a fun (and easy on mom) treat! 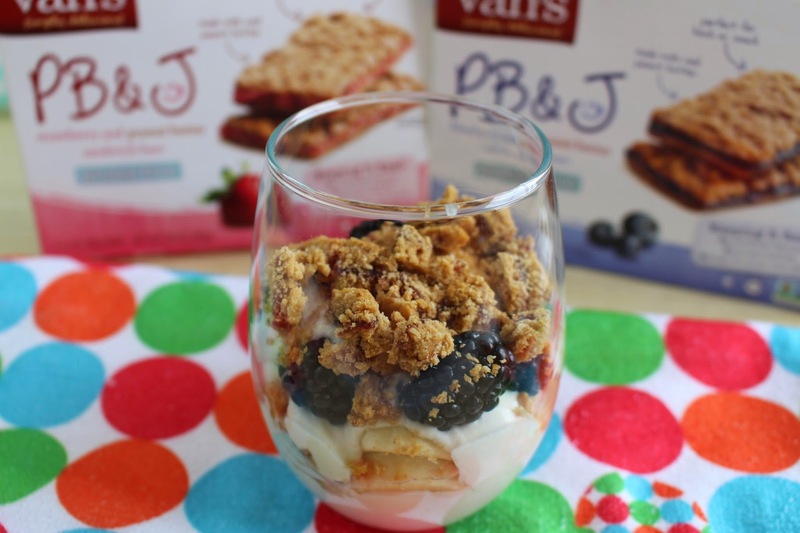 Yum - I love Vans - LOVE your use of it in this parfait! This looks great. So easy!. I must admit my breakfasts have been less than inspiring lately. They're actually down right boring! I need to make this instead! This looks so yummy! I love how easy it is too! Yum! This looks really good. And kuddos to you for bringing a snack that all the kids could enjoy at dance class. That was very thoughtful of you. I'll have to share this with my friends. She loves to have stuff like this for breakfast early in the morning. I never would have thought to use the bar as granola. I love how easy and simple this is + it looks really good. I will give this a try. That looks like a really good treat!